Betty "Vera" Jane Mealey, 88, of Butte, MT, passed away Saturday in her home after a long struggle with cancer. 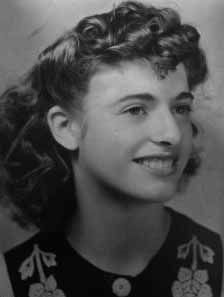 Betty was born in Oskaloosa, IA on Feb 20, 1930 to Eugene and May Welch. She was one of 13 children, all of who passed previously. She was preceded in death by her three husbands, Clyde Houser, Basil Eugene Crippen, and Gene Mealey Sr., and two of her children, Gene Houser and Leteda Quilliam. She is survived by her 5 remaining children, Harold, Monty, Roxanne, Steven, and Gene as well as numerous grandchildren and great-grandchildren. In her time, she was a Mother, a Granny, and a dear friend to many. She picked potatoes in California, tended bar at the VFW in Butte with her husband Gene, volunteered with the Salvation Army, worked at Safe Space in Butte (for which she was given a national award in 2009 presented by Steve Bullock), and many other services to the people of Butte over the years. A private family memorial is planned for late April.